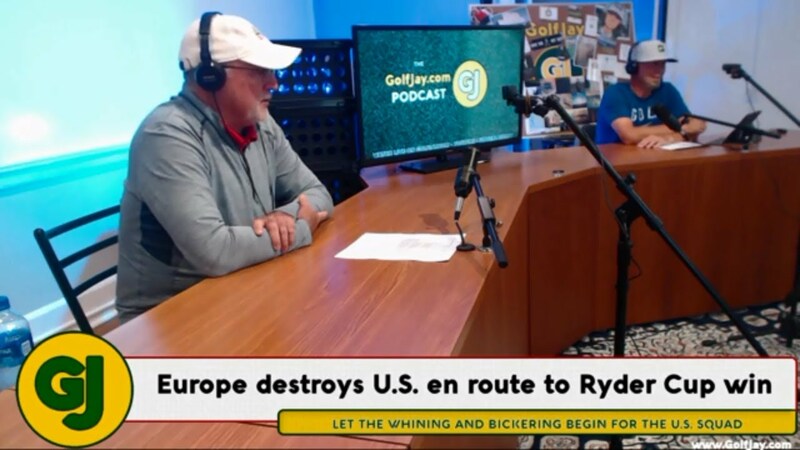 On the final episode of the GolfJay.com Podcast of the season, we discuss Europe’s dominating win over the United States in the Ryder Cup. Then a look back at the season, and a look ahead to the new season which begins this weekend in California. What other sport can you have a season recap, and season preview, all in one episode? Recap the U.S. victory at Hazeltine in the 2016 Ryder Cup matches, take a look back at the 2015-16 PGA Tour season and a mock fantasy golf draft for the season ahead on the fall finale episode of the GolfJay.com Podcast. Damon Green, who was on the bag for Zach Johnson’s two major championships, calls-in to the FingerLakes1.com Studio to talk about his relationship with his player, the Ryder Cup and more during a short interview with Jim Sinicropi for the GolfJay.com Podcast. Peter Ripa, Tournament Director and CEO of the PGA Tour’s Farmers Insurance Open calls in-studio the day before the 2016 event gets underway to talk about the challenges and strategies of organizing and executing a world class tournament at Torrey Pines.